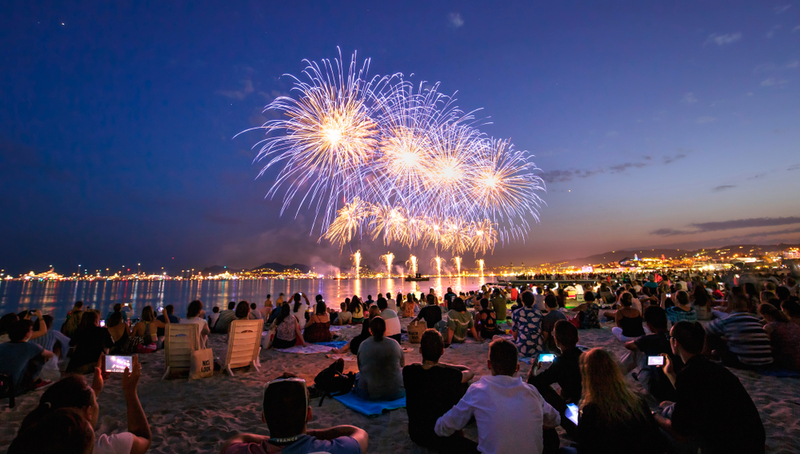 Are you planning to attend the International Festival of Creativity in Cannes this year, taking place between 17th – 21st June 2019? Otherwise known as Cannes Lions, 2019 marks the 66th anniversary of the congress – an historic achievement that animates the event’s long track record of success in history. But promising to remain fresh and innovative, this year’s event is all about the ‘future of creativity’. As a packed five-day event, Cannes Lions offers an array of seminars and open spaces for the creative marketing community to connect. With more than 11,000 delegates expected to attend this year, the event has truly grown to bring a wide scope of talent and personalities, including attendance from the world’s biggest brands and budget holders, and from award-winning creative agencies. There will be a wide range of speakers and experts from different fields at the festival this year, with everything from the big media cats in entertainment, to large public health organisations. With such diversity of cultures and intellectual minds, we recommend you keep an open mind when it comes to networking in Cannes. After all, this festival is all about creative communications – so we recommend you embrace this very mantra with the way you participate. For instance, you could find new inspiration in round-table discussions you wouldn’t usually participate in, or find your imagination expanding at a seminar event. Go and try something new! Is your inner Cannes Lion roaring to roam beyond the festival gates? You may be pleased to know that the networking opportunities extend through the whole of Cannes! From beach-side yacht parties to indoor drink receptions, both local businesses and big brands are on board to enjoy the party. Ready to meet your creative hero? With so many spots to meet and foster new connections, it is also worth planning early which you may like to attend – or contact those in advance you would like to meet to see where they are going. You could create an online diary (remember to set your clock to GMT+1) and start reaching out to contacts, clients, and those you are interested in meeting before the event. You should also check out the Cannes Lions app to schedule and register events you want to attend in advance. Plus, it’s always a good idea to take lots of business cards – even in your hand luggage! You never know who you might bump into on your journey, at the festival, or at a party. Switch off to switch on your light-bulb moments! Rest is important for creative minds. If you’re travelling in a group, such as a company trip, it’s important to stay somewhere that accommodates enough space and comfort for everyone. That’s why our spacious apartments are carefully considered for congress bookings and those looking for a bit of extra personal space. If you’re in a group, it’s also easy to get lost in marathons of meetings and networking opportunities, and while there are Wi-Fi and charging points in the hub of the festival, you may find difficulty getting access at other areas of the festival. So, if you have an apartment nearby, it takes the edge off lugging electronic equipment around or finding a space to hold a meeting. Having a central hub, such as one of our 6-bedroom apartments, means you always have a place to re-group and catch-up every day. Breakfast meeting, anyone? If you are looking for rental accommodation in Cannes for Cannes Lions 2019, please browse our portfolio of properties and give us a call on 07985 612 535. Download our FREE Everything Cannes guide for more information on how to get the most out of your trip!